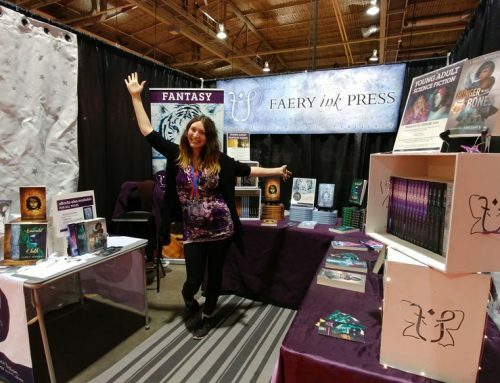 At conventions, I often hear people say that a publishing house called “Faery Ink Press” doesn’t sound like the kind of place that would publish science fiction. 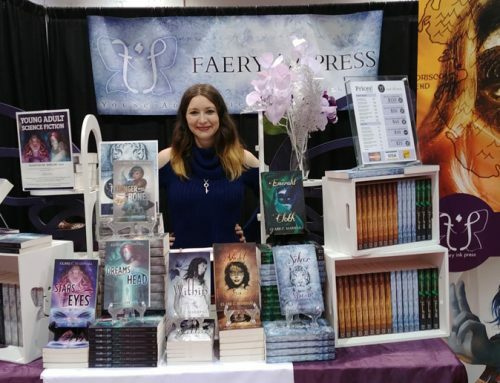 Granted, the name “faery” conjures up a lot of childish images, and/or sexualized images of women with wings, and nothing about aliens or space. But faery mythology spans a great range of strange and fearsome creatures (not all faeries are pretty women with wings!) 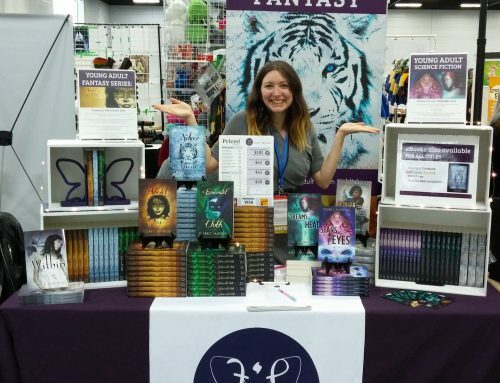 and like the faery realm, space is a wondrous place. Of course, the difference between the faery realm and space is that we have scientific proof that space exists. 😉 Still waiting on intelligent, extraterrestrial life though. I’m a big science fiction fan. If I wasn’t a writer/general-creative-person I’d probably be an astronomer. From a young age I was always interested in the stars, and my dad introduced me to Star Trek and Star Wars before I went to elementary school. I won’t lie and say that science and math came easy for me, but I wasn’t terrible at it either. My undoing was missing one of the three days we did physics in Science 10 in high school. After that, physics was not appealing because I felt like I never caught up, and so I didn’t take it in grade eleven, thus, I felt like I couldn’t take it at a university level. And physics is kinda important in astronomy. >.< That didn't damper my fascination with outer space, so, I'm a specfic writer instead. I went to university for journalism and I found there's a real lack of people explaining science in an interesting and understandable way to the public. And some journalists just sensationalize or don't ask enough questions when they don't understand a concept. That was my honours project, actually. 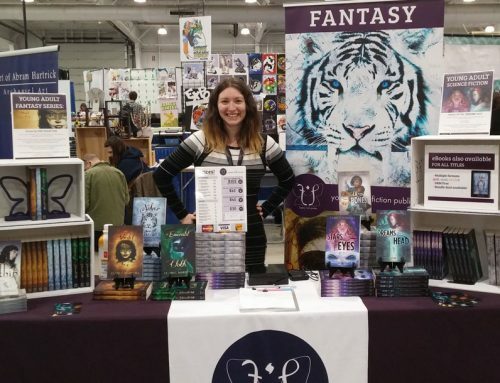 Science fiction writers are, and can be, ambassadors for science. The best science fiction has seeds of fact, and convinces the reader/viewer to suspend their sense of disbelief so that the rest of the world building can be accepted. The best science fiction makes us ask the big questions, and puts current hot or personal issues into perspective. It provides a playground to explore the what ifs. True, not all science fiction media is perfect. For example, sound doesn’t travel in space, and yet, pew pew pew go the guns in Star Trek and Star Wars. Educational shows aren’t always 100% on the mark either. The new show Cosmos dazzled with special effects and did a great job taking concepts like the age of the universe and presenting it in a way that’s understandable, though using Bruno as an example of a martyr for science was somewhat controversial, as his heliocentric views were theological, and not scientific (translation: he correctly believed that the Earth revolved around the sun, but also proposed that the sun was just another star in the universe, and that because God is infinite, the universe he created must also be infinite). Although he challenged the status quo (which is good), he did so with no hard scientific evidence (which is not so good). Controversy and inaccuracy can get people asking questions, however, and maybe, just maybe, one of those people asking the questions might be inspired enough to venture into the sciences and figure out some answers. And isn’t that the point? I’ve held back on writing some really nerdy space posts because I wasn’t sure if it would fit with my brand. But then I realized, it does fit my brand. 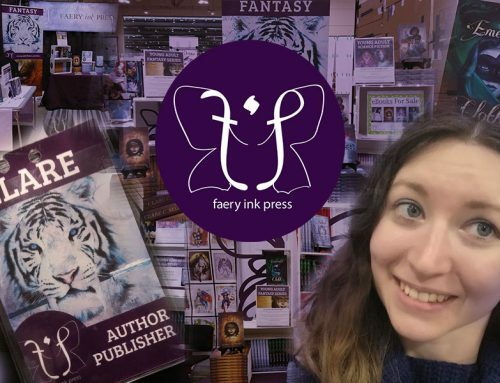 Faery Ink Press is supposed to be about young women struggling with extraordinary and usually fantastical circumstances. What is more fantastical and extraordinary than the mysteries of the universe? In the Sparkstone universe, there are a variety of aliens that make up the Collective. The Collective is a group of aliens who secretly control Sparkstone University–and are very interested in the students that go there. It’s up to Ingrid and her new friends to find out the Collective’s true agenda and protect the students. Read more about Stars In Her Eyes and the Sparkstone series. What an awesome post! I’m glad that writing a couple fantasy books first hasn’t made you feel limited in writing science fiction or blogging about space here. I’m a big believer that science fiction and fantasy are two sides of the same coin. 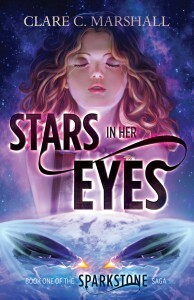 I look forward to reading “The Stars in Her Eyes” and to seeing more science- and space-related blog posts from you!